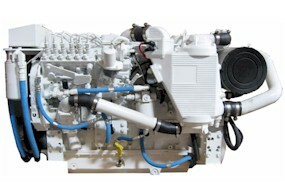 Trans Atlantic Diesels is proud to offer the "Newly Marinized Cummins 4B 3.3-M" Diesel Engine. 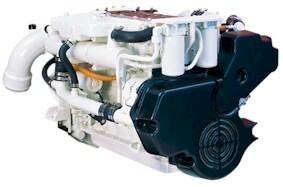 This rugged engine package is designed with the serious boater in mind. The max 65 hp is achieved at just 2600 RPM. At an amazingly low 1800 RPM this engine delivers almost 55 HP. Ideal for those long cruises. The low engine speed contributes to the high torque and durability of the engine. Lower engine speed also equals lower fuel consumption, lower noise level, lower operating cost and longer life!